The DA on Friday reiterated its threat of taking President Jacob Zuma to court for defying the Public Protector's report on state spending at his home in Nkandla, KwaZulu-Natal. Democratic Alliance parliamentary leader Mmusi Maimane said the draft report of the ad hoc committee set up to report to the National Assembly on Nkandla was a whitewash lacking any credibility. "[It] clears President Zuma of any involvement in the gross escalation of costs, and clears him of any knowledge of what happened at his own private home," he said. "Yet we know that President Zuma was regularly briefed on the build project at Nkandla through his own appointed architect." 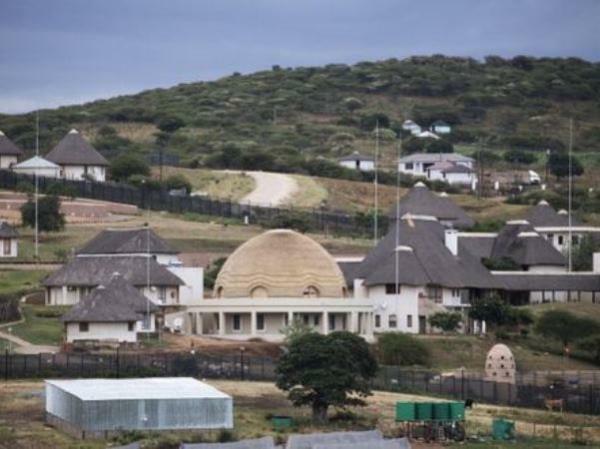 The report also found that because Zuma did not request the security upgrades to his home in rural KwaZulu-Natal "he was at no fault as they sprung up around him, growing more and more lavish by the day", he said. Maimane said the DA would pursue the matter to ensure Zuma was held accountable and the Constitution was respected. "The ANC is whitewashing the accountability of Jacob Zuma through a committee that is meant to determine if the president has yet complied with the Public Protector. Any outcome other than answering that question will be a travesty of a parliamentary process. "Until President Zuma pays back a reasonable percentage of the costs we will not let this matter rest. The DA will exhaust all options of accountability for the Nkandla scandal. This may include taking President Zuma to court." On Thursday, a parliamentary law adviser told the committee that a claim against Zuma to repay a portion of the R246 million spent on so-called security upgrades on Nkandla was unlikely to succeed. Ntuthuzelo Vanara said Public Protector Thuli Madonsela was not a security expert and therefore her finding that Zuma had derived undue benefit and should reimburse the state for features that did not relate to security, would not stand up in court. Maimane in March laid corruption charges against Zuma at the Nkandla police station over the refurbishment of his home. In response to a parliamentary question by Maimane, Police Minister Nathi Nhleko on Friday said an investigation in this regard has been opened but he could disclose no further information as the matter was sub judice. The DA and other opposition parties withdrew from the ad hoc committee in September in protest over the insistence by the African National Congress and the president that he was not bound by Madonsela's remedial action. The ruling party says its view has been vindicated by a Western Cape High Court ruling in October that stated that the public protector's findings were not binding on persons and organs of state, but they could not be rejected in an irrational manner. Madonsela plans to take the judgment on review.